When I designed the knit dress style dishcloth Let’s Go to Hawaii, I noticed that the stitch pattern begged to be used in another item. Since I’m creating a collection of baby hats and blankets, I used a variation of the stitch pattern to create this baby hat. 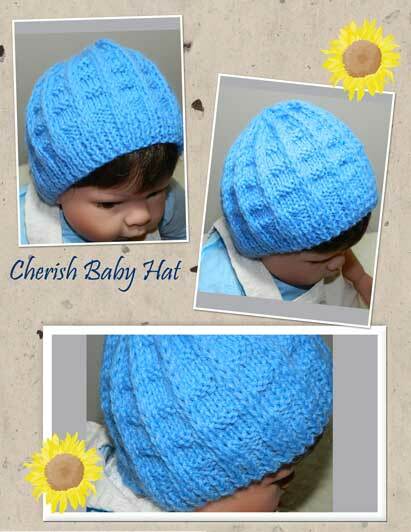 This hat is knit with Lion Brand Baby Soft Yarn on Size 6 needles. It is done in about 2 hours. I’m busy knitting a swatch for the baby blanket with another variation of the stitch pattern. As soon as I’ve finished writing the pattern, I’ll be sharing it with you..